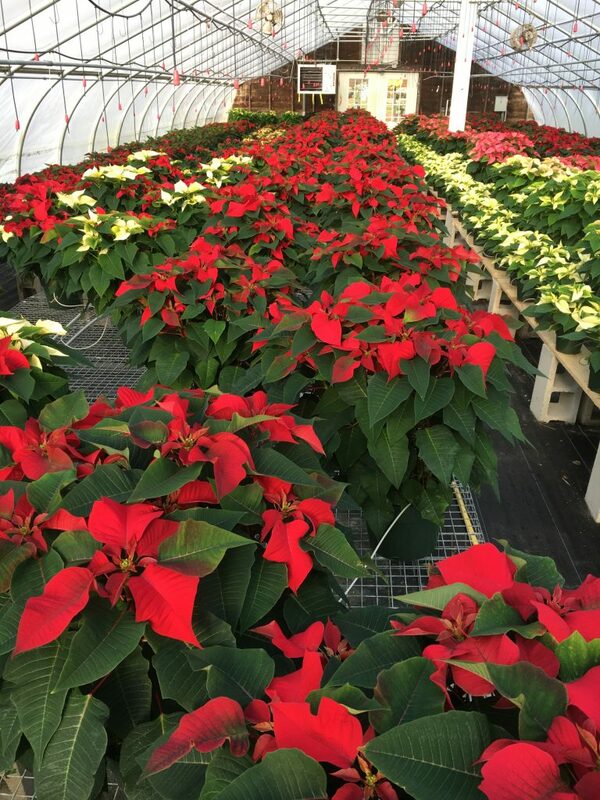 Our poinsettias are coloring up, and looking fabulous. Since we grow our own, now is the time to come and get them! First come, first serve! It’s been a fun and interesting crop, and we learn new things every growing season. If you’re out front picking out the perfect tree, jump in the car and take a ride to our greenhouse outback. 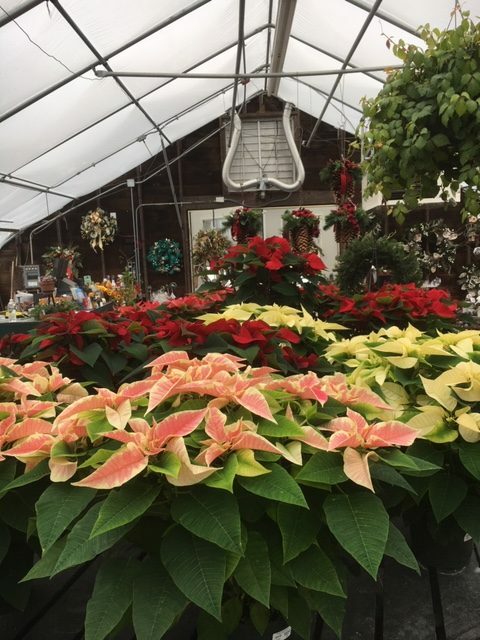 We’ll have elves working in the first one (with Christmas Lights) and that’s where you’ll find gifts, plants and poinsettias. We have ribbons for making custom bows, so you can mix and match! We looking forward to seeing you this holiday season! The countdown is on! This entry was posted in Poinsettias and tagged Christmas, gifts, holidays, poinsettias.